Obesity is one of the most common causes of disability worldwide. If your body mass index is above 25, you are said to be an obese. In 2014, more than 1.9 billion adults were overweight. Of these over 600 million, or 13 percent of the global population, were obese. Experts claim that obesity may increase risk of diabetes, cardiovascular disorders, chronic back pain, kidney failure, and osteoarthritis. According to the findings published in the journal Paediatrics, obese children are at an increased risk of asthma. The findings suggest that the incidence of an asthma diagnosis among children with obesity was significantly higher than in those in a normal weight range and that 23 to 27 per cent of new asthma cases were directly attributable to obesity. There could be multiple reasons behind the weight accumulation; from poor dietary choices, insulin response to side effect of medication. It is always advised to consult a certified nutritionist or a doctor to ensure that your weight does not reach to a point where it starts hampering your overall health. 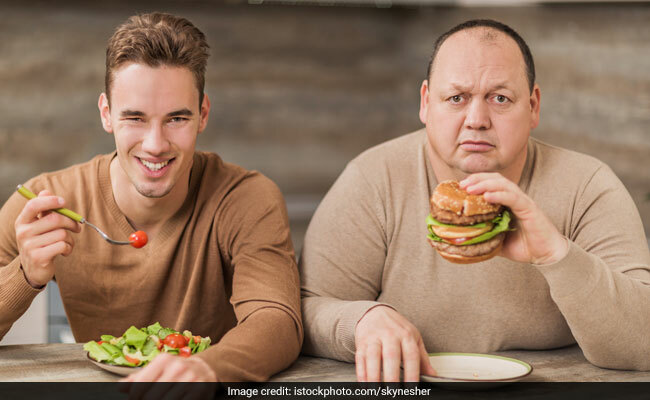 Here are some diet tips from experts that you can keep in mind to manage obesity better. 2. Consume whole foods: Consultant Nutritionist Dr. Rupali Dutta suggests swapping refined carb sources for whole grains. A whole grain manages to retain all the nutrients that are processed in the refining. Stock up on whole grains like bajra, ragi, maize and jowar and use them often. Try red, black and brown rice instead of white rice .These grains help keep you full for a longer spell and prevent cravings. 3. Avoid red meat and opt for lean meat like chicken and salmon: Adding protein with every meal helps induce satiety. Make sure you choose lean variety over fatty ones.Protein helps supress hunger hormone ghrelin, which ensures you do not binge on other fattening foods so soon. 4. Avoid trans-fats found in junk and processed foods: As far as diet is concerned, one should definitely steer clear of all sources of trans fat to begin with and make him/her a diet chart, and resolve to stick to it, says Delhi-based Nutritionist Dr. Simran Saini. Breakfasts make for one of the most crucial times to get the metabolism racing. According to Dr. Simran, a pudina chutney sandwich made with whole wheat bread could be a perfect start to the morning. Team it with a bowl of fresh cut fruits. Follow these tips and also remember to engage in moderate to intense physical activity. Your diet alone cannot help you shed all the excess weight, it is a combination of various factors.